Fighting child hunger has never been so important. Founded in 2015 to honor Corbin Leafman, Corbin’s Legacy continues her fight to ensure no child goes hungry. As a teacher, Corbin devoted her time to changing the lives of children. Because we knew her, we vow to honor and remember her by making a positive change in the world. 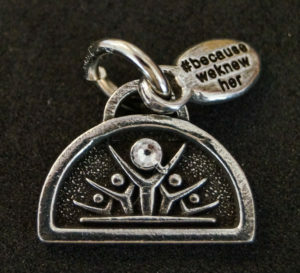 To honor Corbin, her family decided to create sparkling legacy jewelry to help spread her message. Corbin cared about everyone especially the disadvantaged students she taught on a daily basis. She never let a child go hungry which often meant discreetly paying for student’s meals with her own money. Corbin believed each student is a gift and should excel which is why she bought uniforms, supplies, and even backpacks for students in need. She was always ready and willing to lend a hand to colleagues, friends, family, and students. Corbin’s Legacy is fighting child hunger by making sure no child goes hungry not even for one day. According to Feeding America, 12.9 kids go to school hungry daily. 1 in 6 kids lives in a household that is considered to be “food insecure.” Meaning they often are unsure of where their next meal will come from. Students like this often rely solely on school lunch programs for nourishment. Attending school hungry has an impact on a child’s ability to learn. A fact which weighs heavy on the minds of many teachers across the country. 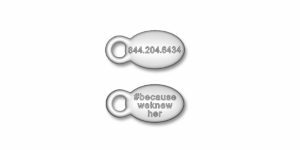 Together we created a bangle, necklace, keychain, and zipper pull to honor Corbin’s mission. 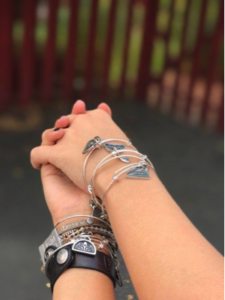 All of the designs worn proudly to spread Corbin’s legacy of fighting child hunger with the world. Corbin wants to be remembered for her compassion, who she was, and the way she lived. She made sure the lives of children were made better daily and they had the essential things they needed. Hungry kids are more likely to suffer from depression, anxiety and develop behavioral problems. They are more at risk for repeating grades in elementary school and eventually dropping out altogether. Hunger negatively impacts children due to the stigma surrounding their problems. They frequently avoid social interactions with children their age, cause fights, become hyperactive, and even begin bullying others. Hungry children often suffer from health problems including anemia and oral health issues. Fighting child hunger and giving to charity is crucial. 20% of hungry households rely on charities, like Corbin’s Legacy, in order to make ends meet and receive food. This is why Corbin’s Legacy is so important. They strive to provide meals to hungry children ensuring they never go without a nourishing meal. Not even for a day. In addition to meals, they provide basic healthcare assistance to needy families in order to ease the impact hunger has on children. 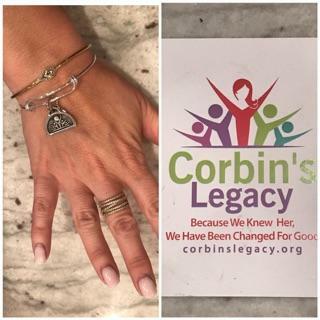 Spread Corbin’s Legacy by purchasing bracelets, necklaces, zipper pulls and more in their online store. Participate in the latest fundraising efforts of this amazing charity: The No Show Toy Ball and Feed a Hungry Child Over Winter Break. Children from food insecure households typically rely on school meals as a main source of nourishment. With winter break arriving soon, this food source will be scarce. Help Title I children this winter break by donating to the Feed a Hungry Child Over Winter Break drive. A donation goes a long way to helping feed hungry children during their holiday break. Bring joy (and a toy!) to 300 Title 1 boys and girls by donating to the No Show Toy Ball with one easy click. To learn more about these charity drives or to donate click here. 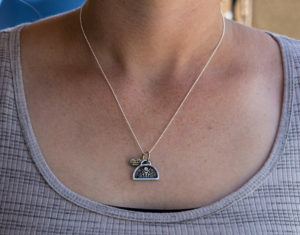 Legacy jewelry can honor loved ones and share their memory with the world.